A mix of polyvinyl dispersions with improving additives, durability class D3 according to PN-EN 204. For making transparent joints with a high shearing strength. 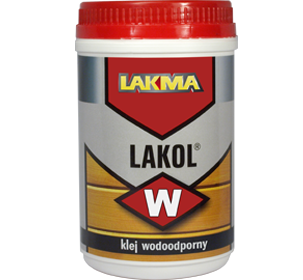 For industrial assembly and bonding of components made of wood and wood-based materials and also for bonding doors, garden furniture, wall lining, balcony lining and sports instruments exposed to moisture.